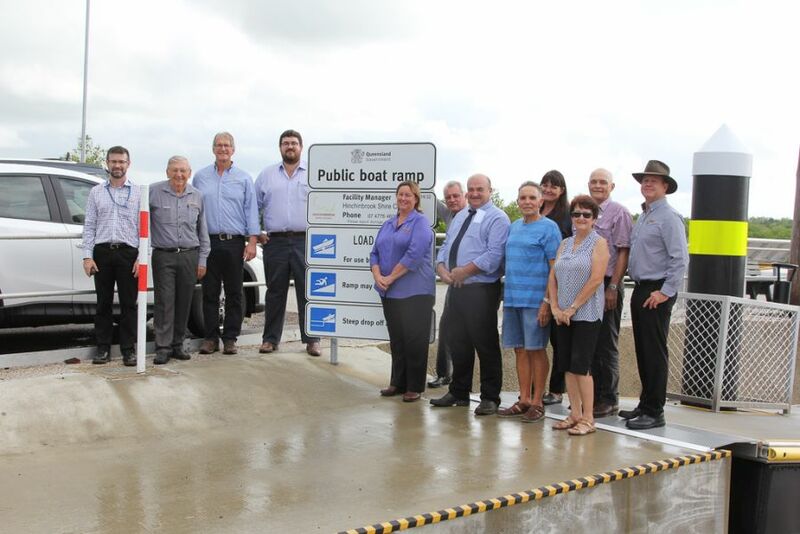 The newly installed floating walkway at the Dungeness Boat Ramp, Lucinda, has officially opened. The floating walkway project was a collaboration between the Palaszczuk Government and Hinchinbrook Shire Council, with the state government investing $700,000 through its Marine Infrastructure Fund. Mayor Ramon Jayo said Council was pleased to deliver the walkway project. “After extensive public consultation, Council was proactive in turning the aspirations of the community into reality,” Cr Jayo said. Through the public consultation process, the community indicated their preferred location, upstream of the boat ramp adjacent to the existing rock wall, and reiterated the need for the additional walkway at the facility. “The Dungeness boat ramp is a very popular facility for locals and visitors to the district and the new floating walkway will be a valuable addition to the existing boat ramp infrastructure,” Cr Jayo said. Transport and Main Roads Minister Mark Bailey said it was a great example of the two levels of government working together to deliver benefits for the Hinchinbrook community.